The primary goal of the Dallas County Manufacturers' Association is to provide the local manufacturing community the best possible opportunities to grow, compete and succeed in the global marketplace through providing resources for qualified workforce, training, and advocacy at the local, state and national level. This Resource Guide serves as an overview of opportunities and services made available through the DCMA. According to the structure of the Garland Economic Development Partnership, the Chamber of Commerce maintains primary responsibility for workforce development in Garland. Many of the opportunities to fulfill this role come from strategic programs made available through the Dallas County Manufacturers’ Association. The DCMA, as a part of the Chamber, acts as a liaison between local employers and educational institutions to facilitate the training and continued education of a sustainable, qualified workforce through the following initiatives. The DCMA has made a commitment to work alongside Workforce Solutions Greater Dallas, Inc. to facilitate an easy-to-navigate, effective process to match qualified candidates with positions in local businesses. This unique job-matching system invites employers to share information about open positions, which is then communicated to industry peers through the DCMA and to trained candidates through Workforce Solutions and the Dallas County Community College District. Workforce Solutions remains hand to assist employers in candidate screening to ensure each candidate placed is a compatible match for the job. A variety of training options are made available to local employers through the Garland Chamber’s extensive network of partnerships, including one with the Dallas County Community College District. 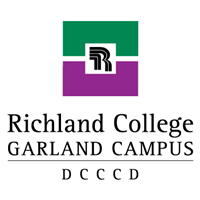 The Chamber office is co-located with the Richland College Garland Campus, which facilitates direct access to grant-funded training for DCMA member companies. The Association also collaborates with Richland to offer training to DCMA members through the DCMA Leadership Academy, a program that teaches management skills to a company’s employees being considered for internal career advancement. The Dallas County Manufacturers’ Association has two local partners in the Dallas County Community College District that provide quality training options for member companies of the DCMA. 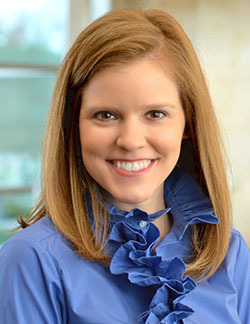 For information, contact Janet Foreman, Account Manager, Center for Corporate Solutions, at (972) 860-7175. Q: How do I get connected with GISD student interns? Q: Who do I contact to get my employees involved in the DCMA Leadership Academy? Q: I’d like help filling a position at my manufacturing business. Where do I start? A: For general job postings, DCMA members may log in to the Member Information Center and post the position to our public online job board. For specific matching assistance, contact Paul Mayer, CEO, at (469) 326-7444 to get the ball rolling. One of the primary functions of the Dallas County Manufacturers’ Association is to provide an industry-exclusive forum DCMA serves as a forum where manufacturers can meet regularly with their peers to address crucial issues facing modern day manufacturing and prepare for future challenges and advancements in the industry. Through a series of regular, roundtable-format discussions, the DCMA invites its member companies to engage with each other to share best practices on topics such as workforce, lean manufacturing, technology and legislation. These forums also offer an informal opportunity to network and build business-to-business relationships. During Partners in Progress, manufacturing company employees at any level, from CEOs and Plant Managers to HR Directors, Safety Managers, Quality Assurance Specialists and any position in between are invited to engage and interact in a program that encompasses relevant topical education along with real-world problem solving and the sharing of best practices. Programs are held on a quarterly basis. Q: I’d like to participate in a DCMA program. How do I get started? A: To get plugged in, simply contact Diane Whitlock, Office Manager. Please note, participation is only available to manufacturers. Q: I have an industry-relevant topic I’d like to share at a DCMA Symposium. Is there a way for me to get involved? A: Speaking opportunities in DCMA Symposiums are limited and closely monitored in order to maintain the integrity of the exclusive Association. If you have a message that is relevant to a specific group, contact Diane Whitlock to learn more about potential opportunities. Through the Chamber’s extensive network, the Dallas County Manufacturers’ Association maintains access to key influencers, elected officials and policy experts in order to provide timely, relevant information and support on those issues affecting the local manufacturing community and the industry as a whole. The DCMA acts as a liaison between businesses and the government to foster positive relationships of ongoing communication and support. The professional staff at the Chamber works with local regulatory agencies on issues that include building inspection, fire codes, street repair, parking, utility costs and service, zoning, health regulations, and many other issues that cause concern for businesses. Through the Chamber’s Legislative Committee the staff and committee members are able to address legislation impacting local business. Common topics addressed include tax rates and changes, transportation, and environmental issues. Q: I’d like to make the Chamber aware of a particular regulatory issue my business is facing. Who should I contact? Q: I’d like to request advocacy on a particular legislative policy. Who should I contact? Manufacturers represent a unique and prominent business sector in Garland, one which requires strategic, specialized programs in order to be relevant. The Garland Chamber, through the Dallas County Manufacturers’ Association, provides a unique set of events and involvement opportunities allowing industry professionals to engage with the community through a highly relevant set of programs. As part of a national initiative to highlight the true, technologically advanced nature of today’s manufacturing industry, the Chamber and Dallas County Manufacturers’ Association participate in Manufacturing Day with a half-day conference. Area manufacturers are invited to participate in a full pprogram of relevant education and peer-to-peer networking. The Garland ISD Career Expo is a two-day program aimed at exposing high school students to the many career options within local businesses, including the manufacturing industry. Each year, about 40 employers are invited to meet hundreds of students and share the variety of employment options available right here in Garland, Texas. Q: How can I sign up to be a sponsor for the DCMA Annual Conference? A: The Chamber begins collecting sponsors each year in April for the annual event, which takes place on the first Friday of October. Contact Liza Ceniceros, Project Director, at (469) 326-7477 for details. Q: How do I get involved in the Career Expo? A: If you’d like to participate as an exhibitor, contact Paul Mayer, CEO, at (469) 326-7444 for details. The Dallas County Manufacturers’ Association exists in large part to encourage and enable sustainable business operations in the industry. The Association’s goal is to provide the local manufacturing community with the best possible opportunities to grow, compete and succeed in the global marketplace. These resources provide additional support to the full suite of initiatives provided by DCMA. In response to popular demand, the Garland Chamber of Commerce will soon make available a complete listing of all manufacturers in Garland. This list will not only assist manufacturers in finding local supply-chain partners, but will also facilitate a community understanding of the vast capacity and diversity of industry in Garland. The process of developing and maintaining a full manufacturing list allows the Chamber and Dallas County Manufacturers’ Association the opportunity to grow the manufacturing community through consistent engagement. True to the Chamber’s tagline, “The Connecting Source,” the staff is able to direct its local businesses to customers, resources for financing and business planning, and many additional avenues to help grow and sustain local business operations. Businesses are encouraged to build relationships with Chamber staff members so the organization may maintain awareness of current and upcoming needs. Q: How can I access the Manufacturing Directory? A: At this time, the manufacturing directory is available to Chamber members by request only, in Excel format. Please contact a Chamber staff member to request a copy. Q: How can I make sure my business is on the Chamber’s referral list? A: As a membership organization, the Chamber always refers its members first. Should your business be interested in Chamber membership, please visit the Join information page of our website. The Garland Chamber of Commerce is pleased to be able to offer select services to local manufacturers, all of which are accessible at no charge for DCMA members. The Certificate of Origin must be filled out completely and notarized before being presented to the Garland Chamber of Commerce. An Affidavit of Origin and Indemnification Agreement must be signed by each company officer and presented to the Garland Chamber of Commerce. This document can be signed yearly and will be kept on file for our records. This document must be provided to the Chamber before a Certificate of Origin will be issued. For Chamber/DCMA members, as part of their membership, there is no fee for each certificate stamped. Members must be in good standing. For Non-members, there will be a fee of $40 per certificate stamped and an annual $250 verification fee. Non-members are required to undergo a company verification process before the Chamber is able to certify any documents. Companies have the option to join the Chamber for a minimum of $500 annually. Make checks payable to the Garland Chamber of Commerce. 3. Make sure that the product information listed is verbatim to what is on the invoice. Do not leave off product number, quantities, or descriptions. 4. Do not alter the Certificate in any way. 5. Have the Certificate notarized before having the Chamber sign it. Check with the Chamber office prior to arriving or any time during or near the holidays to confirm someone will be available to stamp the Certificate. The office number is (972) 272-7551. The Chamber staff member has the right of refusal for any document that they feel does not meet the Garland Chamber's guidelines. The Chamber offers Notary Services, free of charge, to DCMA members. There is a $6.00 cost, per page, for non-members. A Notary Public is a public servant appointed by state government to witness the signing of important documents and administer oaths. You must present a current identification document or card with a photograph, physical description and signature to have a document notarized. Please contact the Chamber at (469) 326-7447 for notary availability. Though the Dallas County Manufacturers' Association offers a wealth of robust and relevant resources to local manufacturers, we also recognize that the many organizations throughout the state and the nation also have much to offer. These organizations are like-minded to the DCMA in serving a mission to support the growth and sustainability of the manufacturing industry. The National Association of Manufacturers is the preeminent US manufacturers association as well as the nation’s largest industrial trade association, representing small and large manufacturers in every industrial sector and in all 50 states. The NAM understands that its role as the most influential U.S. manufacturers association is to be the powerful voice of the manufacturing community and the leading advocate for a policy agenda that helps manufacturers create jobs. TMAC delivers hand-on technical assistance and training to a wide range of businesses, including manufacturing, government, and health care. Focus areas include Lean Enterprise, technology solutions, strategic management, quality systems, environment and safety. The Economic Development and Tourism Division (EDT) of the Governor's Office markets Texas as one of the world's premier business locations and travel destinations. The division pursues business expansion and relocation prospects, with the goal of developing job creation and export opportunities for Texas.